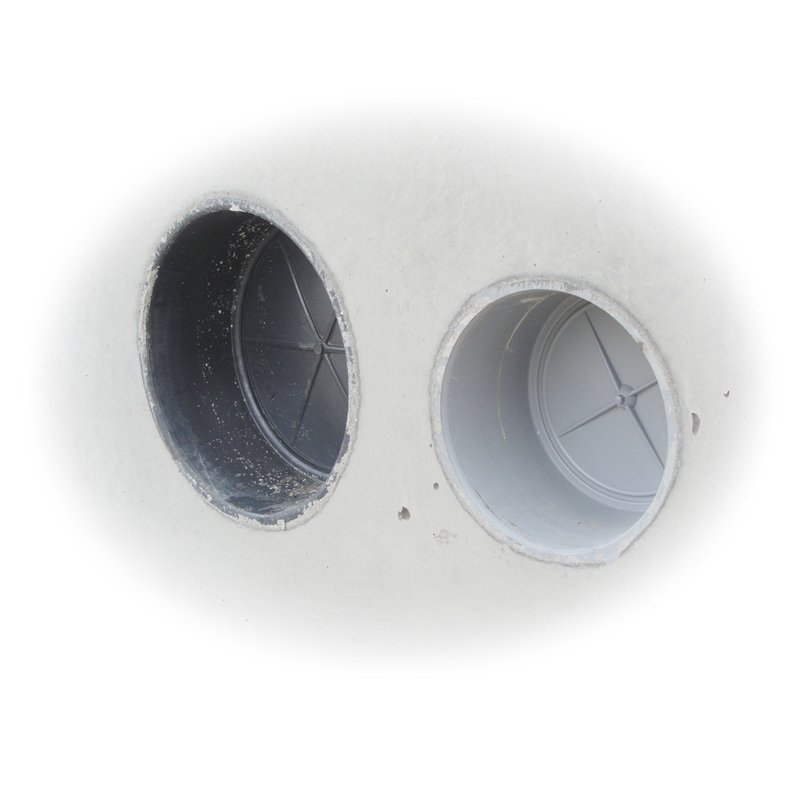 Con-Duct plastic cast-in cable conduits | Create a temporily sealed opening for cable entrance | To Concast pull boxes and FHR units. Concast offers plastic cable conduit called Con-Duct. Each piece is cast into the concrete box side wall and provides a smooth edge for pulling cables. The center plastic membrane can be knocked out when you are ready to use the opening. 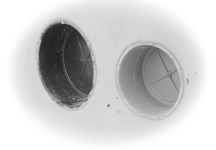 The listed standard spacings between Con-Duct unit centers is driven by their internal support brackets. Other spacings and openings can be achieved; to learn about these custom options. Concast also offers reducing couplers in their line of termination products. They are a great way to increase your connection options.